Hello, everyone! Enjoying the lovely weekend with family at sight seeing the city (again) yesterday. I love New York City they're so much to do so much to see and to be inspired. 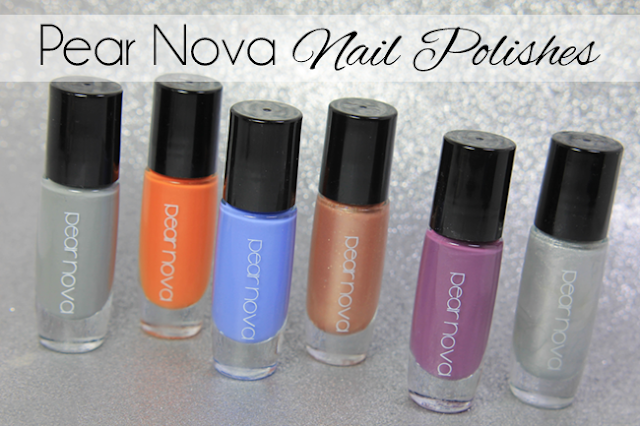 For today's post, I have swatches from a new-to-me brand called Pear Nova. Pilsen Lofts &Art Walkers- is a concrete grey creme, which is one of many common shades. I can’t say I have anything else like this in my collection. I for one am not a huge fan of this shade, but the formula is amazing and applied smoothly onto the nail. This is two coats, sealed with top coat. 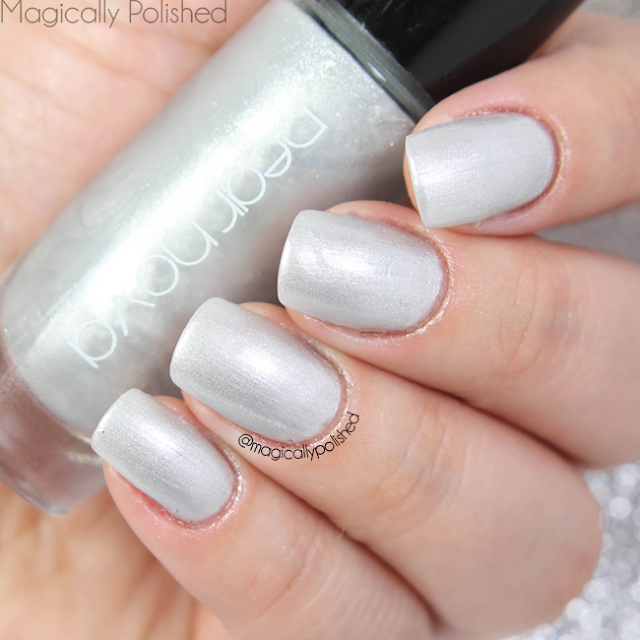 Inter-Steller- is a pearly silver metallic crelly, with a few shimmers throughout the polish. The formula on this polish was pretty good, considering it is a metallic polish. The application was smooth and leveled easily onto the nail. Since it's more like a jelly polish, I applied three thin coats for full coverage, sealed with top coat. Blue Magic- is a gorgeous periwinkle blue creme and one of my favorite shades for the summer (heck for any season). I was incredibly impressed with the formula. It was smooth and easily opaque in one coat. This is two coats, sealed with top coat. Summer is not over yet! 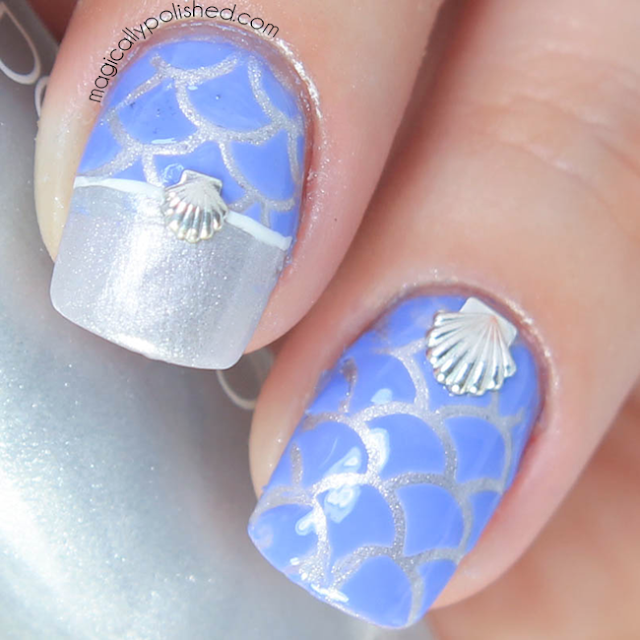 So I wanted to take advantage of my mermaid vinyl from Twinkled T and create a look with Blue Magic and Inter-Steller. I think these two shades are perfect combo and seasonal shades. 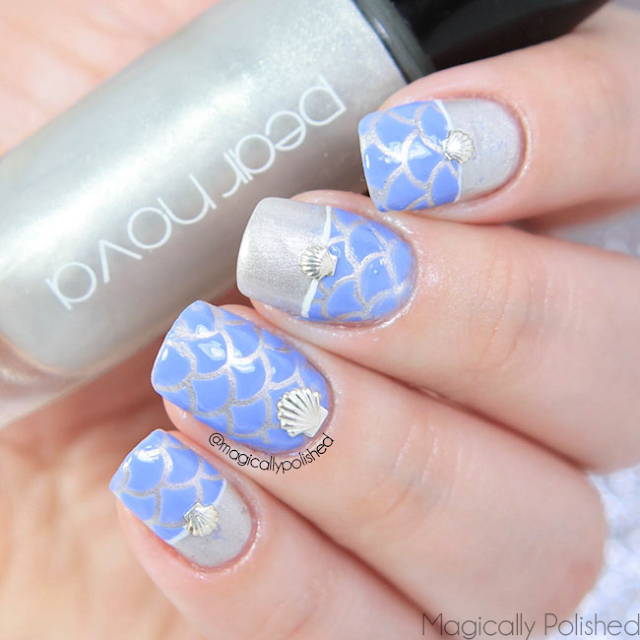 I then accented them with some seashell charms from Born Pretty Sore, sealed with top coat. Space Suit, Spray Tan- is a gold (more like bronze, depending how you look at it) metallic crelly, with a few shimmers throughout the polish. The formula on this polish, however, was pretty thick for me. The application was leveled easily onto the nail. This is three coats, sealed with top coat. 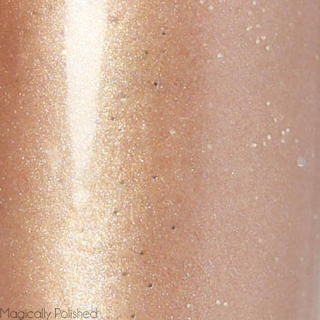 Tan Lines- is a bright orange creme, with subtle of gold shimmers throughout the polish. 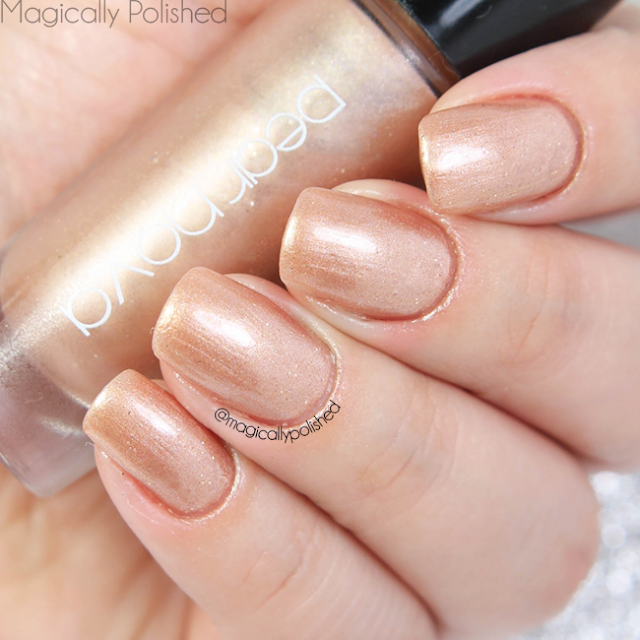 The formula on this polish was pretty good and applied smoothly. The shimmers are that noticeable on the nail, but the color itself is very pretty. This is two coats, sealed with top coat. Beach Babe- is a lovely purple creme and another favorite of mine. 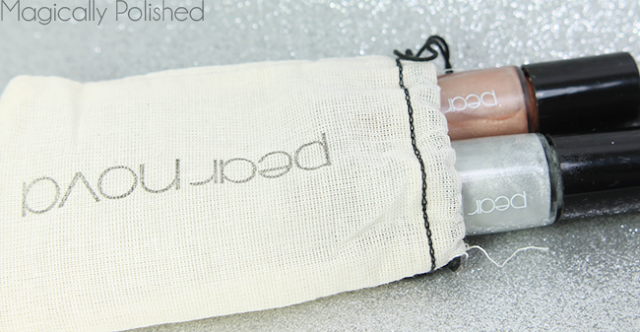 I was also impressed with the formula, not thick or on the thin side, for easy application. It was smooth and easily opaque in one coat. This is two coats, sealed with top coat. 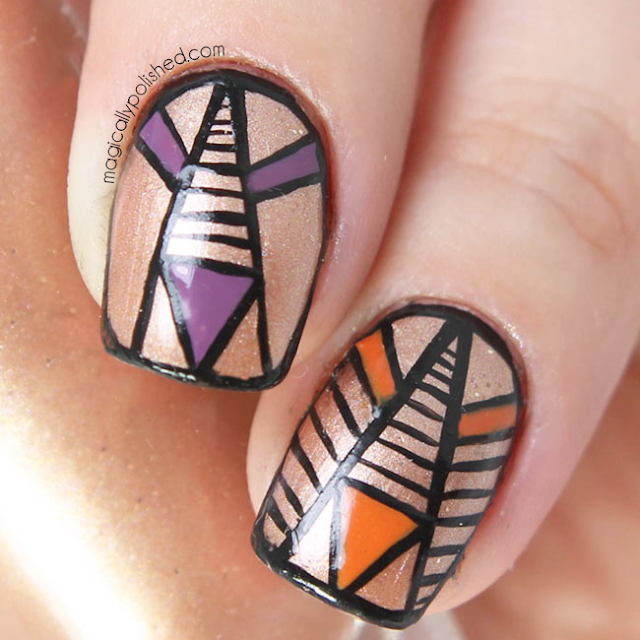 For this look, I was mostly inspired by Lady Fancy Nails and Jenn's Nails design, however, with a small twist. I loved the colors in this selection and wanted to combine them with a specific design. So I used Space Suit, Spray Tan, Tan Lines and Beach Babe for this geometric look. I free-hand the black lines using a stripping brush and black acrylic paint, then sealed with top coat.